On the 12th of June the EU parliament voted in favour of a bill that would require any device, including electronic cigarettes containing more than 4mg of nicotine to be authorised as a medicinal product. The medical classification of e-cigs in many people’s opinion is wrong and may even be illegal. This article will explain why this legislation, whether right or wrong, is simply unworkable, unenforceable and doomed to fail. To control a product you first must understand it. It is painfully clear MEP’s have very little understanding of what an electronic cigarette is. Perception of electronic cigarettes is a device resembling a cigarette with a glowing LED on the end. The product is bought with cartridges containing nicotine with extra cartridges purchased for refills. If MEP’s had researched the electronic cigarette market or listened to the thousands of protesters they would know that there are a myriad of devices and components on the market. These components can be purchased individually or even built at home. They do not contain liquid or nicotine and therefore would not be subject to this new EU regulation. If you have ever checked eBay you might be surprised to find there are no ‘electronic cigarettes’ for sale. Why? eBay does not allow the sale of products containing nicotine. But dig a little further and you can find plenty of devices that look just like them. In fact these are the same devices being sold elsewhere as electronic cigarettes. They are generally titled as ‘E-shisha’ devices. They come with e-liquid containing no nicotine and flavours similar to traditional shisha tobacco. You can also purchase e-cig batteries, clearomizers and accessories all under the pseudonym of ‘e-shisha’. EBay is a microcosm of what happens when you restrict the sale of nicotine containing products. The devices are renamed and sold without the restricted nicotine component. So vapers would still be able to purchase the devices but what about e-liquid? If we examine the EU wording they say ‘devices’ containing nicotine. Clearly a liquid is not a device. Although I highly doubt it will be that easy. What if the EU manages to ban e-liquid containing over 4mg of nicotine? 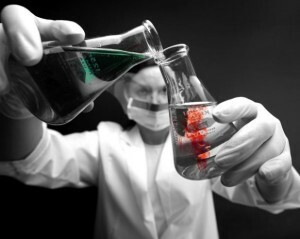 The components of e-liquid are readily available. Propylene glycol and vegetable glycerine are used in a wide and diverse range of applications, from toothpaste to smoke machines. The e-liquid flavours vapers have come to enjoy are simply food flavourings readily available from supermarkets, confectionery and commercial food producers. Nicotine is already a restricted product in the UK. Currently it can be purchased without a license in concentrations under 75mg. First the EU tried to restrict e-cigarettes by including them in tobacco legislation. This proved difficult for them after they realized they don’t actually contain tobacco. Now they have tried a different tactic by grouping them with nicotine containing products. Soon they will realize they don’t even necessarily contain nicotine. Their only option would be to restrict nicotine itself. 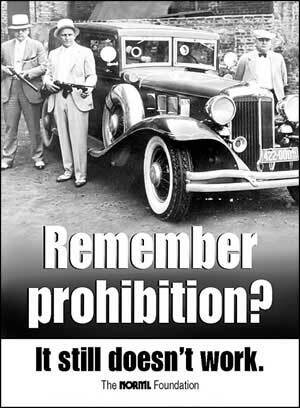 They would be forced upon a new strategy of prohibition. Can they really ban a solution containing nicotine above 4mg on the premise of it being medicinal? Well that is yet to be seen. It would seem absurd to ban a liquid with nicotine but allow tobacco. Nicotine can be used for other purposes. For example it can be used as a pesticide. There are various examples of how the use of a product can be restricted but not the product itself. Cannabis seeds can be sold in the UK under the premise of collectors items. Legal highs can be sold as long as they are used for botanical purposes. Perhaps electronic cigarettes will be sold as collectors items and nicotine sold under the premise of pesticides or botanical use. Of course the power of the tobacco industry, big pharma and the EU parliament should not underestimated. Any attempt at circumventing their new legislation should be expected to be addressed. Lets say they managed to completely ban any nicotine containing solution. It would simply drive nicotine onto the black market. There are many producers of nicotine worldwide and smugglers would soon see the lucrative opportunity. People may stock pile nicotine prior to any ban. Nicotine could even be produced in this country through extraction from tobacco. So it seems the only option for the EU would be prohibition of nicotine. Could they make nicotine illegal without banning cigarettes? The contradiction of allowing cigarettes to still be imported and sold is obvious. Any attempt at this would shift the focus from being one of a medicinal debate to a concerted effort to remove electronic cigarettes from the market. It would expose vaping as being a way to enjoying nicotine recreationally, not about administering a medicine. One thing is clear. History has shown prohibition does not work and as long as there is a demand for these products people will find a way to get them. Yes and no. Prohibition may not be 100% effective, but it would slow down use of e-cigs by a good amount. It would be very doubtful that new users would go through hassle of using e-cigs. The banning of liquid in usable levels would devastate the spread. I would guess many causal current users would quit using e-cigs. A good example is the snus ban in the EU. Even though snus has the same low risk factor as e-cigs very few people outside of Sweden and Norway use it because of the ban. You can still get it but the hassle makes it unattractive except for people who are very detected to getting it. Make no mistake about it, the ban on liquid with usable amounts of nicotine would in reality k9ll millions of smokers. Thanks for the comment Alan. Your right, this legislation will defiantly put off new users and make them pretty inaccessible to people looking to quit smoking with e-cigs. Smoking. Great ! But now they are you have people kicking off about it. How about leave the decision to the people. If they want to use them so be it. If they don’t then why do they need to worry. It’s not effecting them. The only reason and the real reason the government want to ban them or chance the rules of sale is so that they can tax them out with a stupidly high rate. And people will then return to smoking as it will be chaper to do so ! I am an excigarette smoker thanks to the e cigarettes, I play lots of spots and I can very well tell within my body the effects of not smoking tobacco anymore. In my opinion the EU as well as the tobacco companies are trying to fight back the fact that they are losing a great source of revenue. They are not interested in the people well being at all, it is all about the money!